Rob Rubicco was a contestant on the Iron Chef and did a spectacular job. NEW YORK - Feb. 2, 2015 - PRLog -- Rob Rubicco, family man, business man and part time chef, had the wonderful oppportunity to be a contestant in the Television show, Iron Chef. Rob Rubicco is a "home chef" and does not work at the trade in a commercial manner but rather loves to cook for his family and friends. Cooking for friends, says Rob Rubicco, is a great way to show them you appreciate them as well as have an opportunity to try new dishes and see if there is a way to learn new processes and methods. When Rob Rubicco is not cooking, he is busy sharing on Facebook at https://www.facebook.com/Rob.Rubicco.Rob.Rubicco or on his own site, RobRubicco.com. Rob has been known to choose a particular food item or spice and give it a run for it's money by using that spice or food item in a hundred different ways to see what actually is best for the palate. Do not be fooled by his amateur status as a chef, Rob Rubicco has been featured on sites like YouTube and others as one that is a man that knows his way around a kitchen as well as one that is diligent about his work as a chef. One thing that Rob Rubicco is sure to tell you and that is that he believes that testing is the key to a good chef and that being open to different ideas is important for a person to grow their trade as a chef. 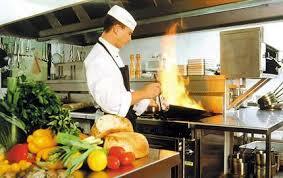 Being one dimensional is never a good idea in any business and the chef business is no different. Look Rob Rubicco up in Google and you'll get to see a lot of what he has to offer.